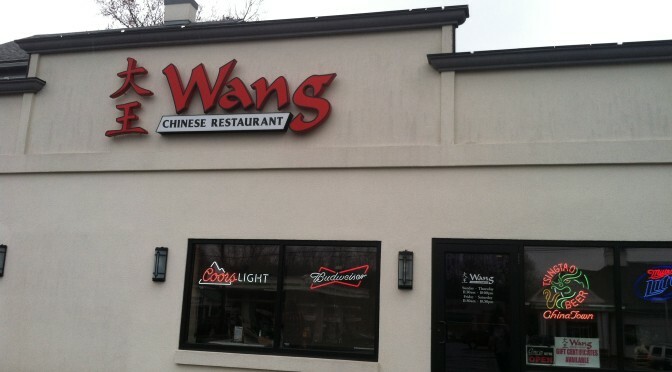 Today’s restaurant review is for Wang’s Chinese Restaurant in Cromwell, CT. A small home slash business building tucked just off West Street (Route 372) in between Route 9 and highway 91, I have passed this place countless times on my way to work. And every time I think, hm I should go there sometime. Somehow I just never got around to it… Then I found out a friend of mine just so happens to know the owner, and so we decided to take a trip for lunch. Upon parking, the first thing I noticed was that it is actually quite larger than I had thought, since the entire left side of the building was a large dining area which can be rented out. When we walked inside, it smelled immediately of those delicious umami smells of soy sauce, bubbling soup, and stir frying vegetables. There is a fully stocked bar, so you can have traditional sake right alongside a Cosmopolitan if you so desire. 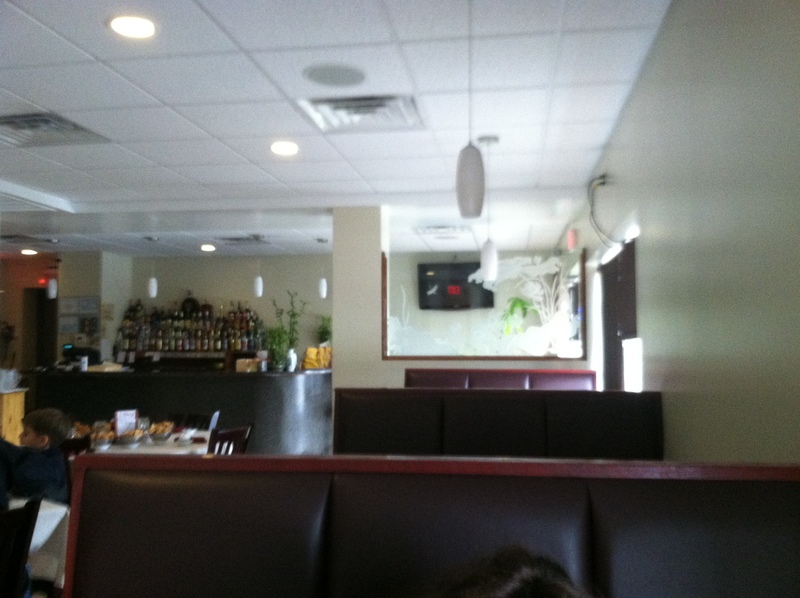 There is ample seating for both tables and booths, in a nice dark cherry wood, and white linen table cloths. Some very quiet, soothing music was playing in the background, nonintrusive enough that you forgot it was there. The next endless part of the experience is the hot tea. 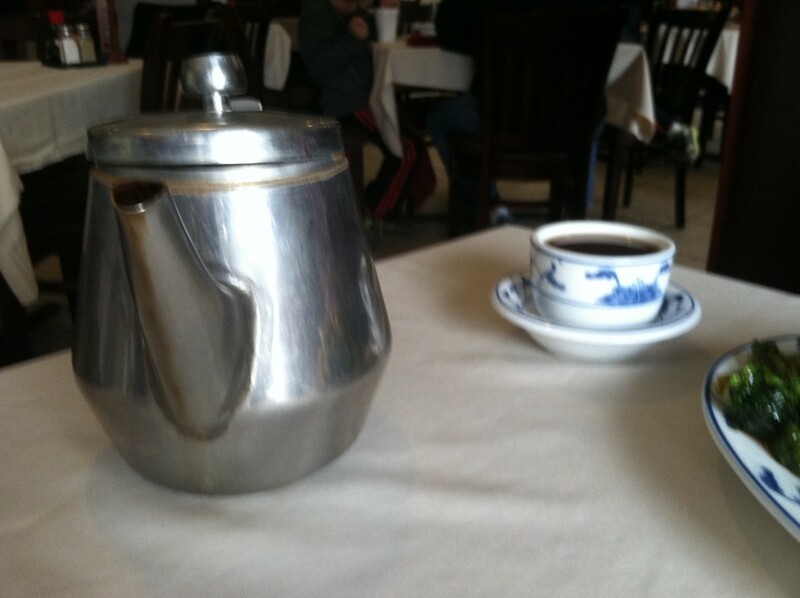 Every lunch special (and dinner too) includes bottomless pots of hot tea. I love that, because tea is the best. I’m pretty sure I had at minimum nine cups. Good thing the cups are so small! 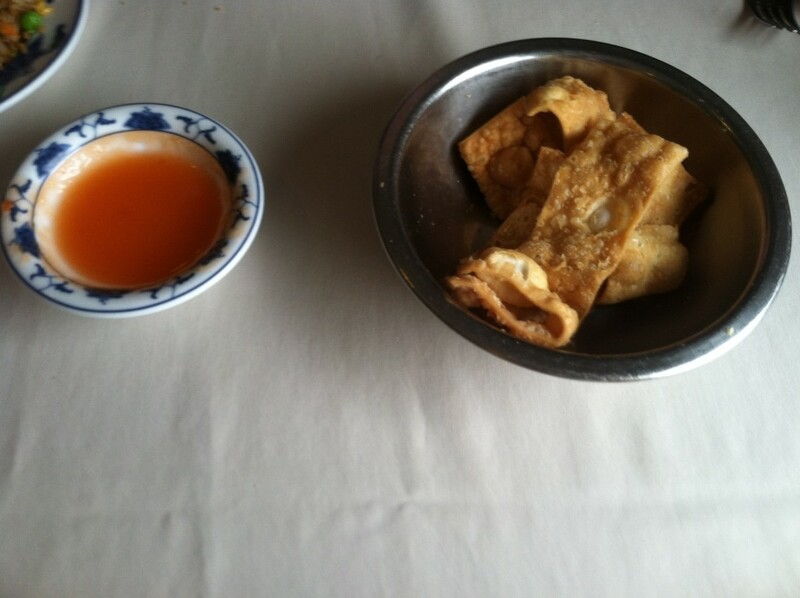 We also had soup included in our lunch orders, I chose won ton while my friend ordered the egg drop. The soup was so tasty I wolfed it right down, and didn’t even get to take a picture… oops. Sorry, not sorry. With menu items ranging from $1.50 to nearly $28 for the Peking Duck, there is something for everyone’s budget. 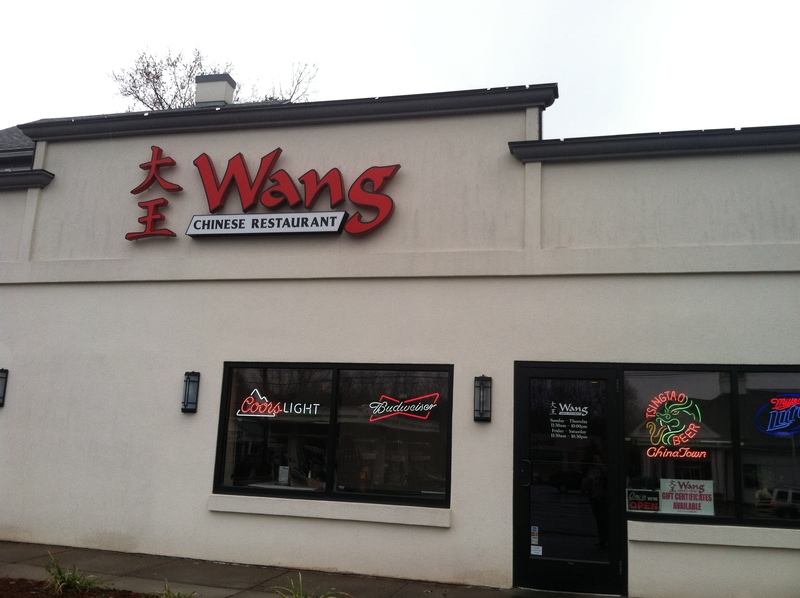 Their lunch specials are quite reasonable at $6.50 or $6.95, and includes all you can drink hot tea, soup (won ton or egg drop), egg roll, and entree. 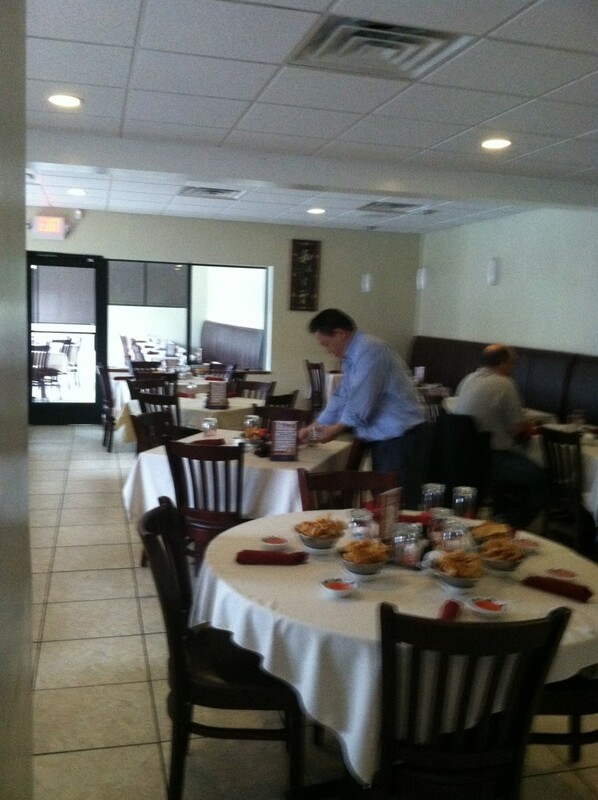 Lunch is daily from 11:30 – 3:00. I ordered the shrimp and broccoli, and funny story, my friend ordered the same thing. She got veggie fried rice, while I stuck with the included pork fried rice, and you can also choose steamed white rice. When the food came out, it smelled absolutely wonderful, and was a very generous portion size. You can see the plate was pretty much overflowing. The brown sauce was perfect, lightly coating the shrimp and veg but not overpowering. There was a ton of flavor, but I didn’t feel as if I had licked a salt shaker while eating it, which is a good sign. The rice was springy and flavorful as well. 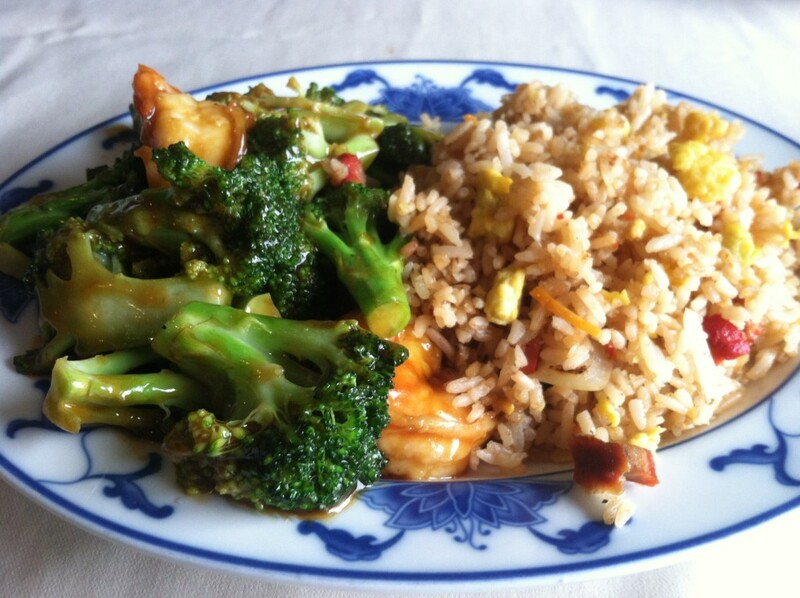 The broccoli was steamed just right, soft enough but still with a slight crunch. And the shrimp were gigantic, with 5-6 big pieces per plate. The owner came over to say hello while we were there and asked how our meals were. We of course said ‘absolutely wonderful’! My friend introduced me as a new frequent customer, and I have to say, she was right. With a distinctly mom-and-pop feel, attention to detail and attentive staff, very generous portions for a reasonable price, and amazing food that actually tastes like food and not something frozen and microwaved or doused in chemicals, I will definitely be returning here often! I’m glad to have finally given this hidden gem a try, and so should you. You do real nice reviews of Chinese cuisine and food. We also have a good Chinese food retail chain named Yo China in Chandigarh. Do review their chain if they have a store in your town!